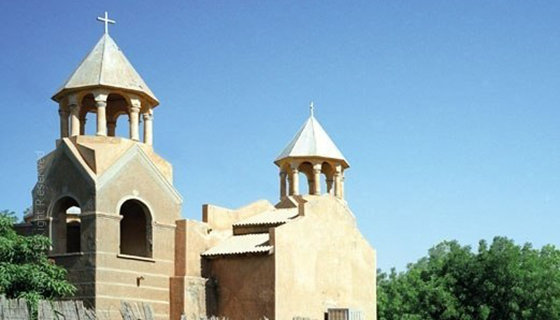 The thing you least expect to see as you casually stroll down the street somewhere in Sudan or India is a beautiful Armenian church. And yet the chance of stumbling upon one is astonishingly high! Here's how that happened. 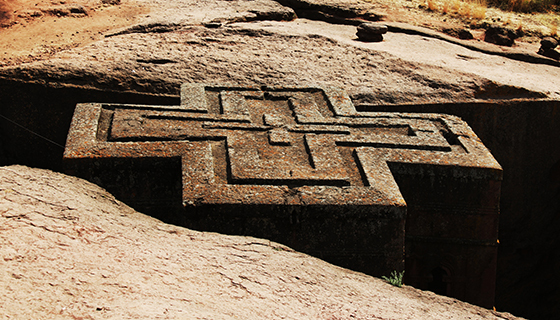 Armenians have a peculiar history with Ethiopia. Despite being thousands of miles away and speaking a Semitic language (Armenian is Indo-European), Armenia and Ethiopia have very similar alphabets. Relations between the two nations go back two millennia. Besides that, though, Armenians have played a big role in modern Ethiopian history. The Armenian community in Ethiopia includes the creator of the Ethiopian national anthem, Kevork Nalbandian, commissioned by Haile Selassie himself. It was also Selassie who, upon visiting Jerusalem, had invited 40 orphans of the Armenian Genocide – known as the "Arba Lijoch," or forty children — to return to Addis Ababa with him and assume the role of the imperial brass band of Ethiopia. The extent of the Armenian community’s involvement in Ethiopia’s development extends into architecture, medicine and, perhaps more exciting, Ethio-jazz! That’s where the musical talent of Armenian immigrants has left a lasting impact. Armenians and Indians have something in common: a very old culture. So it’s no surprise that Armenians and Indians interacted with each other at some point over the past few thousand years. But their ties go beyond casual encounters. Mughal emperor Akbar invited Armenians to settle in Agra in the 16th century. 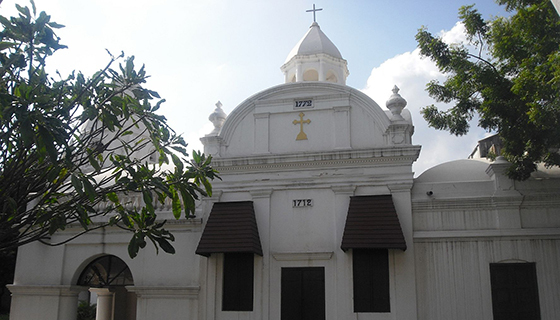 Armenians had a booming community in Calcutta (Kolkata) where there is still an Armenian church and an Armenian college. In 1772, Shahamir Shahamirian, an affluent merchant and member of the Chennai (Madras) community, published his vision of future Armenian state – this work is believed to be the first Armenian Constitution. Though it is far from the homeland, India was where the first Armenian newspaper, “Azdarar," was published in 1794 by Haroutioun Shmavonyan, another member of the Madras community. The Armenians also contributed to trade, architecture and medicine, as they had – and continue to do – in their adopted homes elsewhere. Singapore is one of only three city-states left in the world. And not only was (and still is) a small community there, Armenians established the first Christian church in the country! 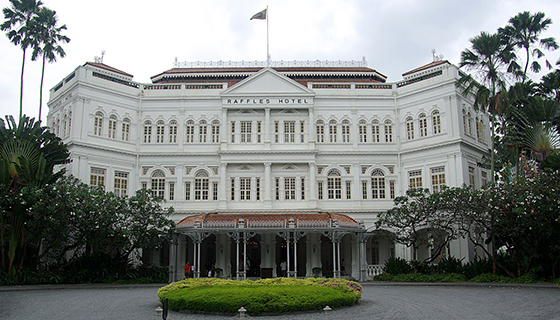 Besides that, Armenians founded Singapore’s classic Raffles Hotel. It was an Armenian woman, Ashkhen Hovakimian, who went by the name of Agnes Joachim, that bred Vanda Miss Joaquim, the orchid that is Singapore's national flower today. The Queen of the Adriatic was a stop on many a merchant’s way when it was the trade center of the world. Yet the Armenians who remain there are not the descendants of merchants, but of monks. 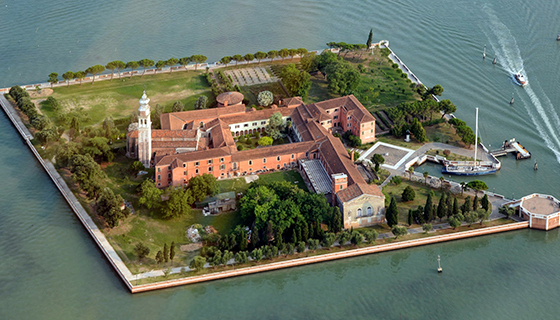 The Mekhitarist Order of the Armenian Catholic Church was gifted an island, San Lazzaro, in 1717. The order founded a monastery and set up a library, manuscripts depository and a publishing house. But that’s not even half the story. Over 200 years before the Mekhitarists set up shop on the island, in 1512, a man going by Hakop Meghapart (Hakop the Sinner) published the first ever Armenian book in print, "The Book of Friday.” Suffice it to say Armenians have been there a long time. Today, the Mekhitarist monks still inhabit the island (they’re the only ones who live there) and they still accept students as well as tourists. Especially those who want to try their rose jam, made from flowers growing on the island. There really aren’t that many Armenians in Japan, Sudan and Mexico. But there are some! And it’s not like they’ve laid low: there is a Japanese-Armenian pop star, a church in Khartoum, Sudan, and Mexico’s ambassador to the United States, Arturo Sarukhan, was Armenian – and he was the first ever diplomat on Twitter! Sudan, India, Japan - yes, we are serious!